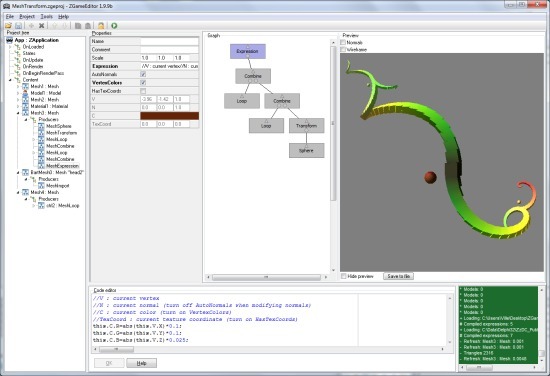 Emix8.org Ville Krumlinde: Delphi programming - ZGameEditor 1.9.9 released! ZGameEditor is a free game authoring tool that generates native high-performance stand-alone compact executables for Win32, Linux x86 and OS X. Now 3 years after initial release ZGameEditor has reached version 1.9.9 and it's the most feature packed update yet! 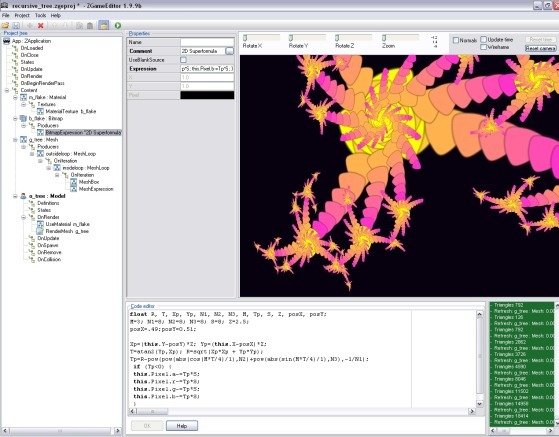 ZGameEditor is an ideal tool for experimenting with procedural content generation techniques and developing OpenGL-applications. Make games, demos and screen savers using advanced graphics features such as multiple render passes, render targets and shaders. Instant GUI feedback of your changes. No waiting for build times! ZGameEditor is 100% Free Open Source software. And also many other improvements and changes! JPH keeps making quality games with ZGameEditor. 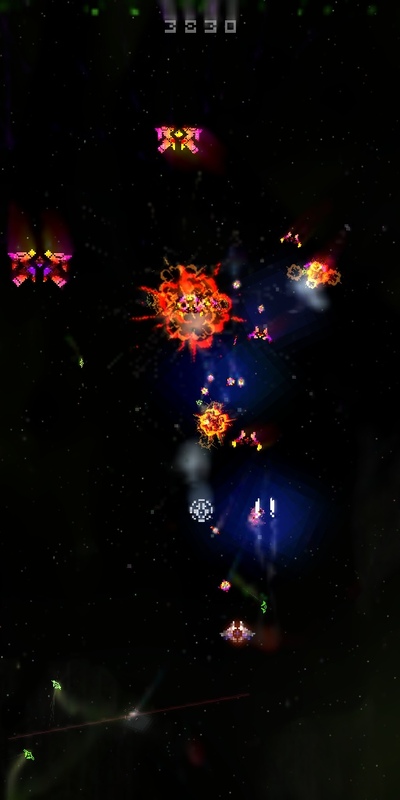 This time it is a Galaxian-style space shooter called Sonnenm�rdeR. More info in this thread on Tigsource. A new game from JPH Wacheski made with ZGameEditor: "vectorLocust". It is a vector based shooter in the same style as classic games BattleZone and Star Glider. But better than both of those in my opinion! A new game from JPH Wacheski made with ZGameEditor: "lockOn2". It features hectic single screen shooting action in true old-school arcade fashion. Here is another new game that we've made over at the Lo-Fi Minds homepage. It is called Minubeat and just like our previous release it is a remake of a game by Cactus. Click on the image to play now!